This study demonstrates how immune responsiveness, known to be influenced by psychological stress, can be used to assess changes in mental workload. Healthy male and female subjects provided capillary blood samples before and after completing the same, basic, driver-related tasks followed by a simple manoeuvre in two unfamiliar motor vehicles. Using the Leukocyte Coping Capacity (LCC) test kit, the ability of leukocytes to produce reactive oxygen species in vitro was assessed. Significant post-stressor changes in leukocyte activity were demonstrated between treatment groups. 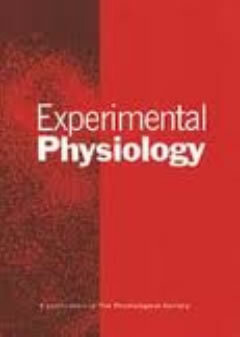 These findings add weight to the proposition that leukocyte activation is a useful quantitative measure of psychological stress and mental loading in humans. 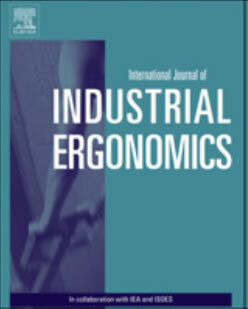 This study demonstrates the diagnostic ability of LCC for use during ergonomic evaluation. SHELTON-RAYNER G, MIAN R, CHANDLER S, ROBERTSON D, MACDONALD DW (2012) Leukocyte responsiveness, a quantitative assay for subjective mental workload. Int J Industrial Ergonomics 42, 25-33. The capability of drivers to accomplish basic tasks utilizing differing sensory modalities while maintaining lane discipline within a computer-simulated environment was assessed. Subjects provided capillary blood samples before and after using three human–machine interface designs—touch-screen, voice control, and multimodal. Using the Leukocyte Coping Capacity test kit, the ability of leukocytes to produce reactive oxygen species in vitro was assessed. Significant post-stressor changes in leukocyte activity of varying magnitude were observed following the use of all interfaces; with the multimodal interface provoking the most pronounced response and voice control the least. Results support the proposition for using immune responsiveness as a means for quantifying psychological stress. SHELTON-RAYNER G, MIAN R, CHANDLER S, ROBERTSON D, MACDONALD DW (2011) Quantitative physiological assessment of mental loading via altered immune functioning following interaction with differing automotive interface technologies. 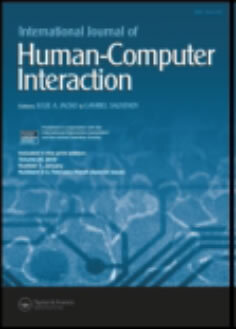 International Journal of Human-Computer Interaction 27 (9), 900–919. In this experiment badgers (Meles meles), which were caught as part of an on-going population study, were either transported to a central site prior to blood sampling or blood was collected at their site of capture. Using the leukocyte coping capacity (LCC) test kit, the ability of leukocytes to produce reactive oxygen species (ROS) in vitro was assessed. Transported animals had a significantly lower leukocyte coping capacity score (LCC) and showed changes in leukocyte composition that were indicative of stress. The study concluded that the stress of transport reduced LCC in badgers and that LCC serves as a quantitative measure of stress. Potential applications of this method are discussed. 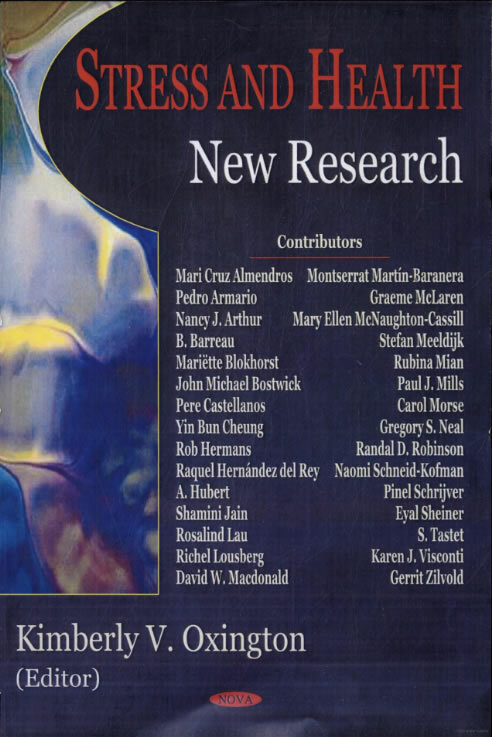 MCLAREN, G., MACDONALD, D.W., GEORGIOU, C., NEWMAN, C. and MIAN, R. (2003) Leukocyte coping capacity: a novel technique for measuring the stress response in vertebrates Experimental Physiology 88 (4) pp. 541-546 (ISSN: 0958 0607). This study assessed the effect of exposure of volunteers to a mild, brief, psychologically stressful event, on the functional ability of leukocytes to produce reactive oxygen species in vitro. Volunteers operated a car electric window and adjusted it to 4 pre-determined positions. Between each operation the mechanism’s polarity was covertly altered (group B) or remained unaltered (group A). For each treatment group 10 different subjects provided capillary blood samples pre- and post-stressor. Using the leukocyte coping capacity (LCC) test kit, the ability of leukocytes to produce reactive oxygen species (ROS) in vitro was assessed. ROS release differed significantly at 10 min post-stressor between treatment groups, suggesting exposure to acute psychological stress leads to a reduced ability to respond to bacterial challenge. SHELTON-RAYNER G, MIAN R, CHANDLER S, ROBERTSON D, MACDONALD DW (2011) Quantifying transient psychological stress using a novel technique: changes to PMA-induced leukocyte production of ROS in vitro. 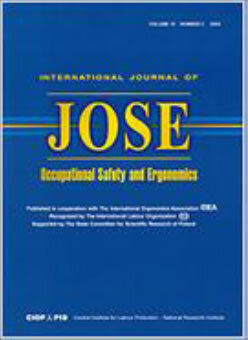 Int J Occup Safety & Ergonomics (JOSE) 17 (1), 3-13.